. : : ::Click To Learn More:: : : . La	Parada Mercantile is a mercantile offering an eclectic array of furniture, home décor, folk art, jewelry, and more. Job responsibilities included creating logo, business cards, advertisements, postcards, flyers, gift certificates, coupons. Please check out their website, www.shoplaparada.com, which was also created by Felicia Designs. Sangie Designs is a design company specializing in one-of-a-kind fine leather belts. Job responsibilities included creating logo, business cards, hang tags, posters, and line sheets. 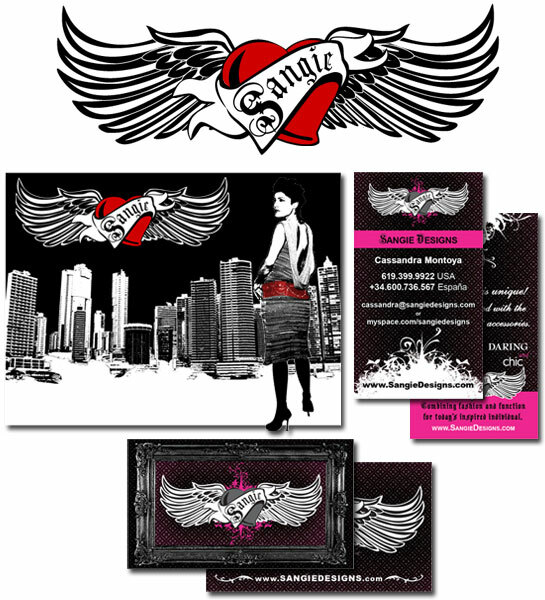 Please check out their website, www.sangiedesigns.com, which was also created by Felicia Designs. 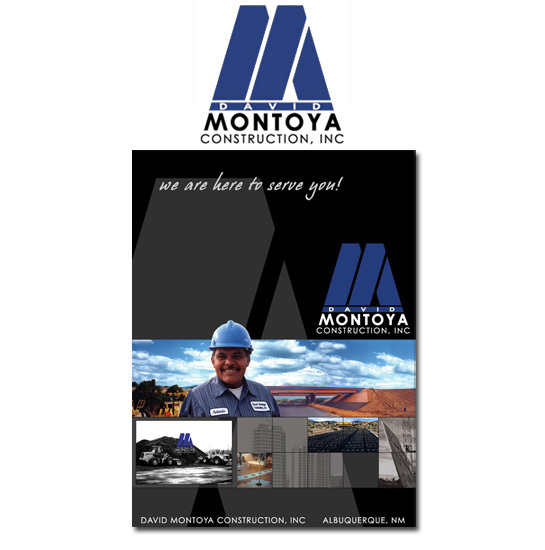 David Montoya Construction is a General Contractor in NM with experience in every aspect of concrete, heavy and highway construction. Job responsibilities included creating logo, business cards, and marketing design. Please check out their website, www.montoyacontruction.com, which was also created by Felicia Designs. Dig My Walker is a community-based website where ideas, pictures, hopes and visions about medical mobility modification can be shared. Job responsibilities included creating logo, business cards, and letterhead. 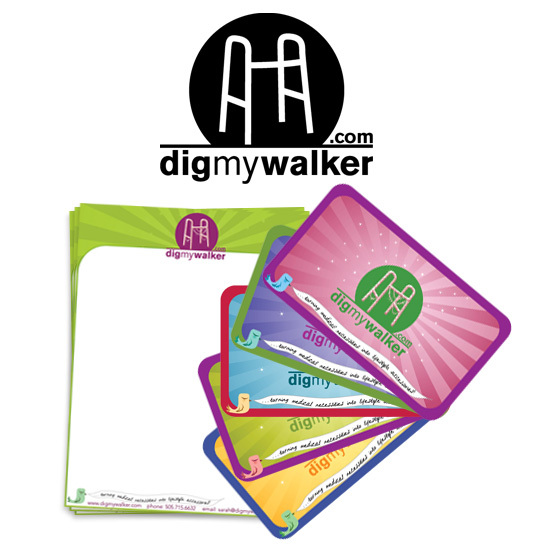 Please check out their website, www.digmywalker.com, which was also created by Felicia Designs. 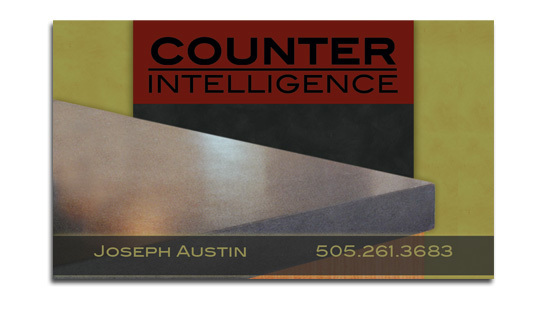 Counter Intelligence is a contractor specializing in custom concrete countertops. Job responsibilities included creating logo, business cards, and marketing design. Please check out their website, www.counterintelligenceNM.com, which was also created by Felicia Designs. 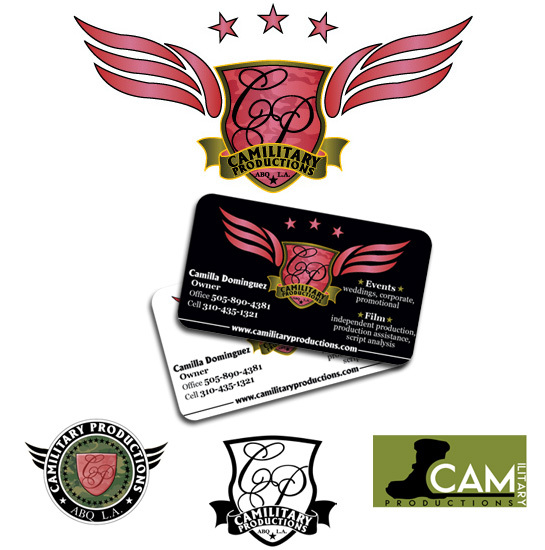 Camilitary Productions is a film production and event planning company. 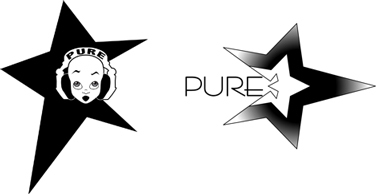 Job responsibilities included creating logo and business cards. 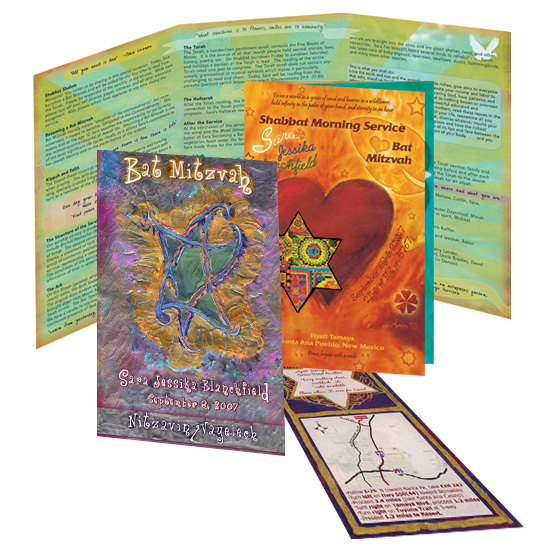 Job responsibilities included creating invitation inserts, customized program and service booklets. 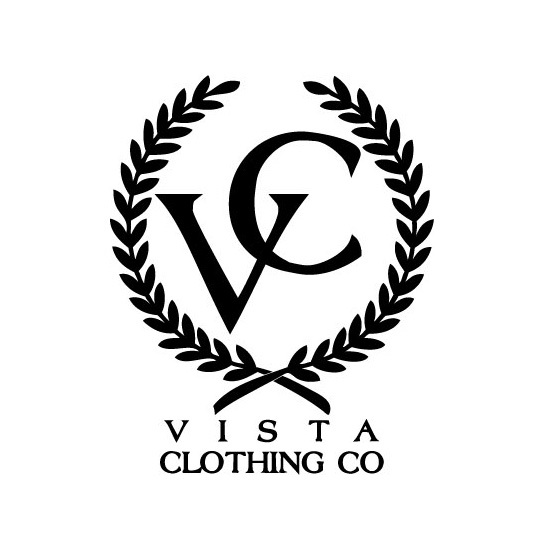 Vista Clothing Company is a new clothing company specializing in skate clothes. Job responsibilities included creating logo. 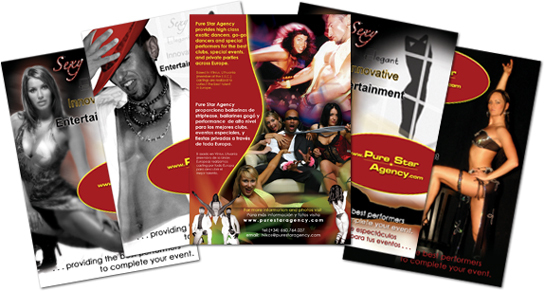 Pure	Star	Agency	is an international entertainment service provider, offering Go-Go dancers, exotic dancers, DJ's, models, singers and more. Job responsibilites included creating advertisement flyers and new logos for their Spanish division of the business. Cute Storks & More is a lawn rental company based out of California. Job responisibilties included creating advertisements, flyers, postcards, business cards, and creating custom graphics for their baby products. See more at www.cutestorks.com, which was also designed by Felicia Designs . 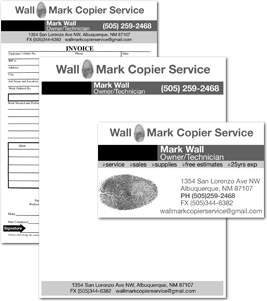 Wall Mark Copier Service sells and repairs copy equipment throughout New Mexico. Job responsibilities included creating a logo, business cards, letterhead, invoices, and advertisements. Nikos Akrivos is a personal trainer based in Barcelona. Job responsibilities included creating business cards. Straight Up is a new business in Albuquerque specializing in carpet and upholstery cleaning. Job responsibilities included creating a logo, business cards, and advertisements. Sin Serenade is a band based in Albuquerque. 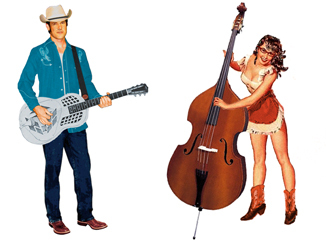 Their sound has been described as early, stand-up bass-driven outlaw country with a gritty rock 'n' roll sensibility, but they prefer 'trashy western'. Job responsibilities included creating illustrations, and flyers. Please check out their website, www.sinserenade.com, also designed by Felicia Designs. 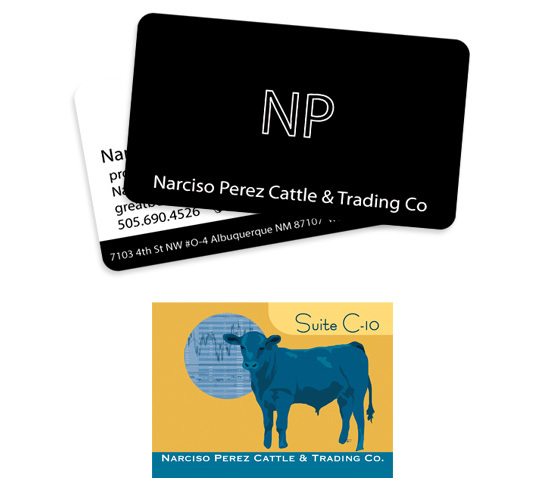 Narciso Perez Cattle & Trading Co.
Narciso Perez Cattle & Trading Co. is a small cattle company specializing in raising natural beef. Job responsibilities included creating business cards and an office sign.